Then why not nominate them for a State History Award? The nomination deadline is this Friday, July 25! 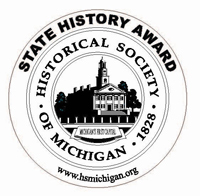 the collection, preservation, and/or promotion of state and local history. 5 p.m. on Friday, July 25, 2014. Postmarks are not accepted. information about the awards, please see our website.